It’s a cornerstone value of LEK. Laurel believes strongly in community service, and participation in making our world a better place. Here’s our projects and ideas for you to become involved. Transforming trashed/old kites into fun trendy beach bags. 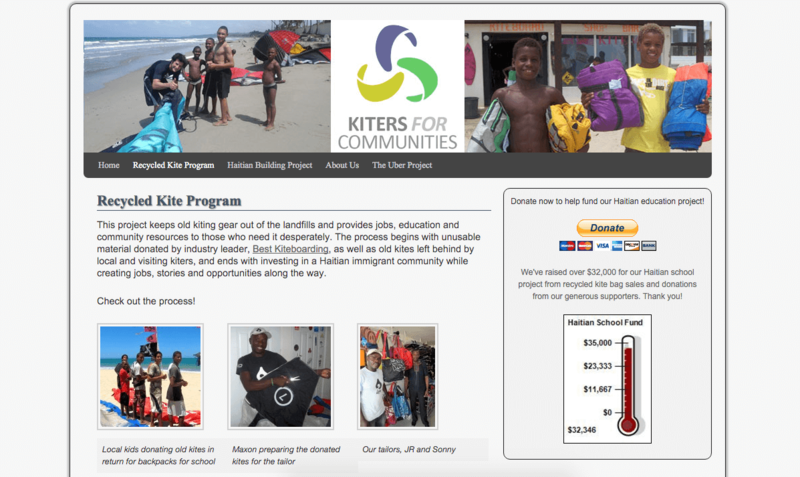 Kiters For Communities is a social business owned by Laurel and Pete. They employ three Haitian tailors and invest 100% of the profit from selling bags into community-lead projects like schooling and lunches for kids. Donate your old kite! You can bring it to Cabarete or send it to us in Miami. We’ll give you a unique handmade bag in return. Empowering women through kiteboarding. 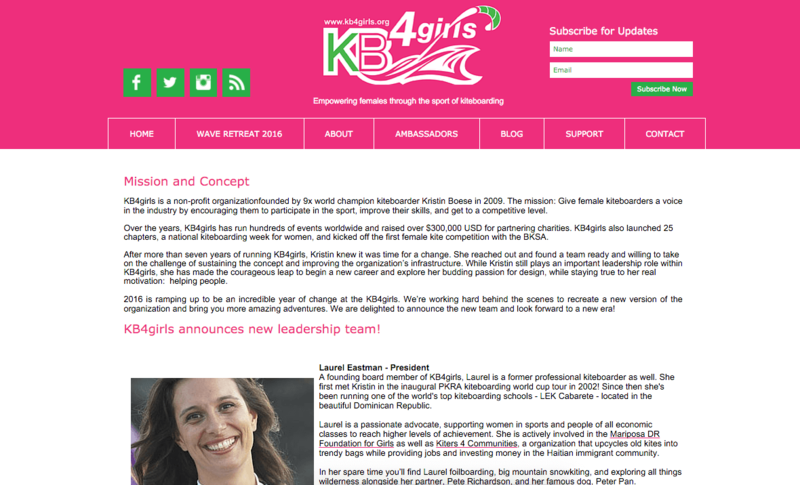 Laurel is the President of this Oregon based non-profit organization founded by 9x kiteboarding world champion Kristin Boese. Together with the WKC board members she is actively re-designing how the organization serves, inspires, and educates women looking to learn kiteboarding and ladies who would like to advance their kite skills. Become a Women’s Kiteboarding Collective member today – support and celebrate equality in sports! A charity event co-founded by Laurel, this kiteboarding contest raised over $80,000 USD which was donated directly to children’s charities working in and around Cabarete. 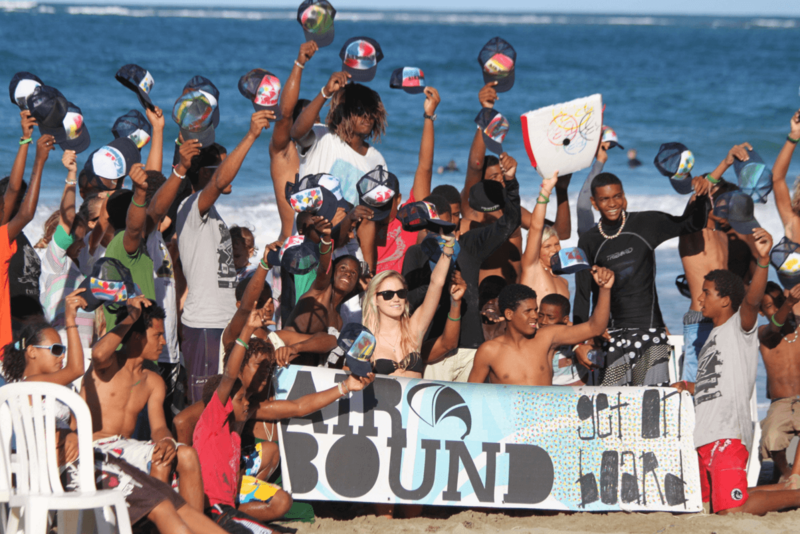 In 2011 (the last year of the event) KB4K’s title sponsor SOLOSHOT brought Hollywood actress and professional kiteboarder Maika Monroe to support the kids of Cabarete!